It’s been at least a year since I last dabbled in TensorFlow, and the ecosystem seems to have grown a lot. The general trend is towards higher-level abstractions for building models, defining data pipelines or serving predictions. Then there is also the relentless community-driven development, spawning many useful extensions to the official library. Yet, using TensorFlow still has a bit of going down into the trenches feel to it compared to fitting your regular ML model in sci-kit learn. In this post, we will try out a few of the new tools to see how fast we can build a transfer learning model in native TensorFlow. In particular, we will look at the relatively new Dataset API for data ingestion and transformation; and secondly, use tensornets for transfer learning. The library has many pretrained models available and a seemingly easy-to-use syntax. Transfer learning is the practice of taking pre-trained models and re-purposing them for a new task without having to retrain the entire network from scratch. One area this approach has been proven extremely effective in is object detection. We can take a network trained on tens of millions of images to predict hundreds of different objects, and modify it to fit our use case. There are two main flavors of transfer learning: feature extraction and fine-tuning. In case of the former, we remove the last fully-connected layer and treat the rest of the network as a fixed feature extractor. In other words, we freeze the previously learned weights and only train the last layer outputting class probabilities. In case of fine-tuning, not only do we retrain the classifier at the end of the network, but also the previous layers. You can fine-tune the last couple of layers or the entire network. The choice depends on the similarity of your dataset to what the network was originally trained on, and how much data and patience you have. There is a long list of pre-trained models to choose from for object detection. Thanks to extensive research in the area performance have been skyrocketing. The latest models can detect 1,000 different objects in a regular picture with 95% accuracy. And here is the architecture of the different DenseNets. Doing transfer learning with DenseNets is as easy as the below according to the package README. If you have seen TensorFlow code, this looks quite straightforward. However, there is a few gotchas when implementing this IRL. Transfer learning has different flavors, and the above is an example of fine-tuning the entire network. That is to say, all updates are going to be backpropagated to all layers. If we wish to freeze some layers, we can pass the list of weights we do want to train to the minimize() method of the optimizer: .minimize(loss,var_list=train_list). Secondly, keep in mind that the input tensor size is fixed, so we’ll need to reshape our images to fit 224*224*3. The output tensor shape on the other hand can be changed to equal the number of classes in our specific use case. Thirdly, we need to set the is_training= flag to True during training and to False during testing. Under the hood, this points to the argument of the same name for the batch normalization layers. These layers are responsible for normalizing activations based on the statistics of each batch during training. However, during test time not only do we need to turn it off, we also need the global statistics (moving_mean and moving_variance) from all batches to use as constants. Somewhat strangely, these values don’t get updated during training by default, and we are left with the statistics of the last batch. This needs to be fixed. with tf.control_dependencies(update_ops):               # only train last "block"
A common way to feed data in TensorFlow is with feed_dict. 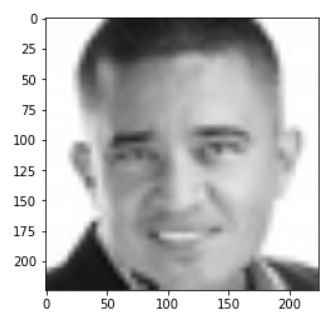 Training data is first loaded as numpy arrays and reshaped to (batch_size*pixel*pixel*channel) - the shape of the placeholder. If your data doesn’t fit into memory, you are out of luck and will be forced to write a lot of boilerplate code for I/O. Besides the verbosity, this approach tends to be slower as computation ends up waiting for new data. The Dataset API aims to provide a unifying framework for loading, transforming and consuming data. The main advantage is loading data batch per batch, while the preprocessing steps for the following batch are simultaneously performed in the background. The result is lower memory footprint, and a continuous stream of preprocessed training data to the accelerator with no idle time. With the Dataset API, we can load data from many sources including numpy arrays, tensors, text files, csv’s or even folders. In addition, dataset objects come with a handful of nifty methods for data preparation. .skip(): Most datasets have a header row to be ignored. .map(): Map a parse function reshape the dataset to the correct format. .shuffle(): Shuffle the data at each iteration to prevent overfitting. .repeat(): Repeat the action each iteration. .batch(): How many examples to put in each batch. .prefetch(): How many batches to prefetch for preprocessing. Using the last method, preprocessing and model execution will overlap. While the GPU is performing training step n, the CPU will preparing the data for step n+1. This way the GPU is never idle and is constantly fed with new data. The function parse_csv() defines how get from the aforementioned .csv file to tensors. This can be written using TensorFlow functions too. To access this data, we need to define an Iterator. TensorFlow provides a couple of alternatives: Initializable, Reinitializable, One-shot and Feedable. If you want to use both the training as well as the testing data in the same session, the reinitializable iterator is recommended. It enables switching between datasets during the same session. Lastly, the iterator has a get_next() method that yields, well, the next batch. Running sess.run(training_init_op) before training and sess.run(validation_init_op) before testing ensures that we are loading the right dataset. Doing data preparation this way, we get rid of the feed_dict mechanism for data ingestion and can plug the values from iterator.get_next() straight into the graph. Last but not least, we should also checkpoint the model’s progress with tf.train.Saver(). I could in theory train this on my Macbook Air - perhaps with a batch size of 1 - but why torment my machine when I can outsource the job to Google. Submitting TensorFlow programs to the Cloud ML Engine is easy (and cheap) enough with the gcloud command-line tool. Your training and validation data needs to be uploaded to Google Cloud Storage first. Then, by parametrising the trainer program, you can supply these as additional arguments when submitting the job. You also need to select a region, resource type, the package-path of your trainer program and the module’s name, a staging bucket on GCS and the path to the tarballs of packages that you need besides the defaults. Job status can be monitored in the Cloud Console or streamed directly to our terminal with gcloud ml-engine jobs stream-logs jobname. Once trained, there is a myriad of options to serve a TensorFlow model. Either way, the checkpoint files we saved will need to be transformed. They are useful for restoring model state, but not suited for inference just yet. Weights of the model need to be frozen, training nodes stripped, constants folded (values like batch norms), and overall, we need optimize the model for inference. For an in-depth discussion of these transformations, check out Lukman Ramsey’s awesome article on Medium; here I will solely focus on implementation. 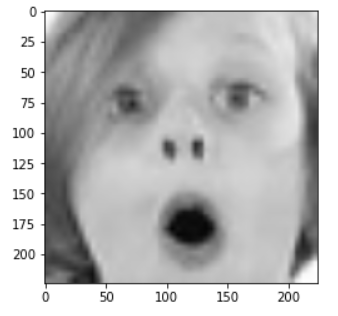 Running this, the detected expression is displayed above the bounding box for your face. Despite the evolution towards high-level API’s, training a modern neural network remains an involved affair. After all, complex models inevitably need more supervision. On the bright side, bleeding edge technology in computer vision or natural language processing is now at the fingertips of the anyone willing to get their hands dirty, and that’s pretty awesome. For a fully fledged example of what this post described, see the related repo on my GitHub.